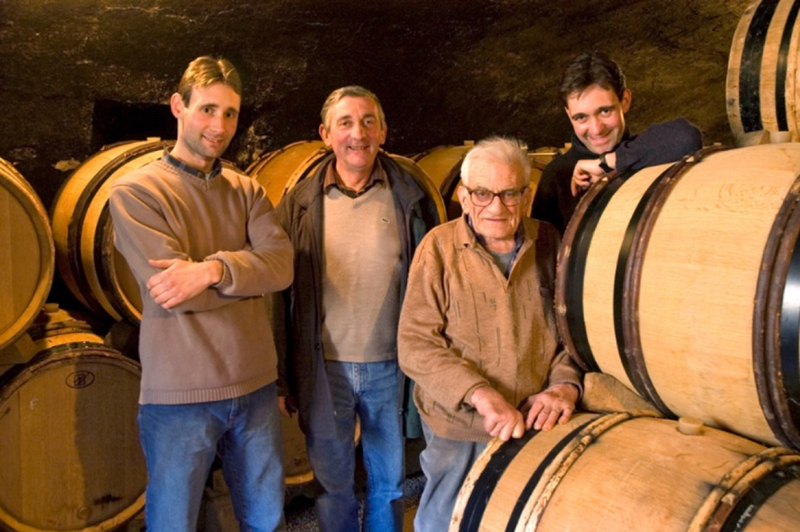 The Domaine Vens-le-Haut was established in 2003 by Georges Siegenthaler, a Swiss biochemist who taught and did research at the Faculty of Medicine of the University of Geneva. 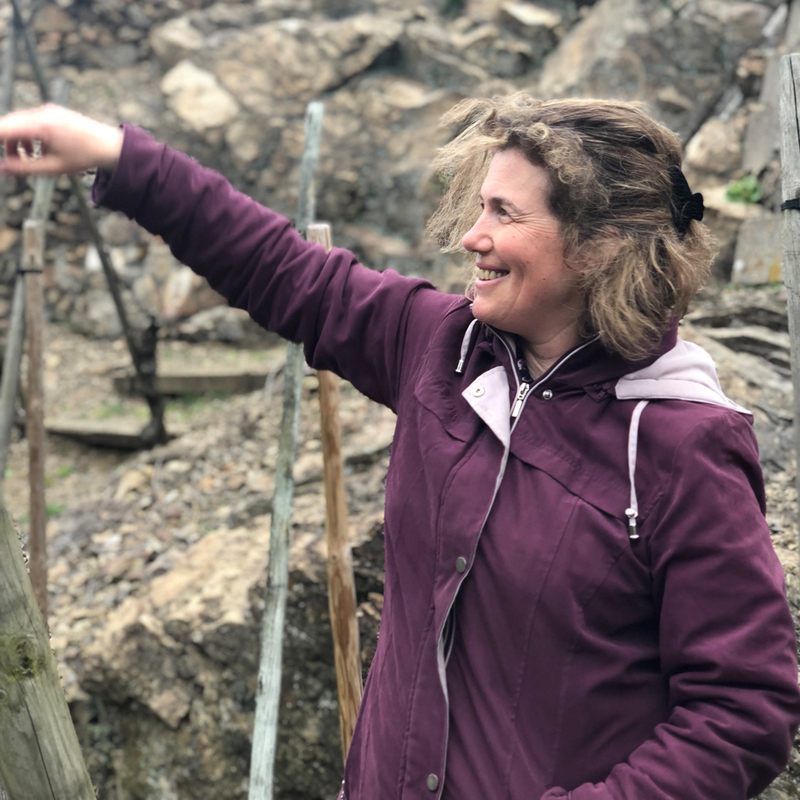 The story of this petite domaine started with a single, small parcel of the Molette grape planted in Vens-le-Haut, a hamlet of the village of Seysell in the Haute-Savoie. Siegenthaler immediately accepted as his challenge the objective of producing the highest quality wine while following the principles of organic viticulture. To that end, he has adopted a “no till” approach to his vineyards; he has planted various legumes, including clover in the rows between the vines, which he cuts two to three times during the season to provide nutrients to the topsoil. Siegenthaler’s best workers in the vineyards are the resident earthworms! Vine cuttings and marc produced during the vinification are used as compost for the vines. Harvest is, of course, manual. 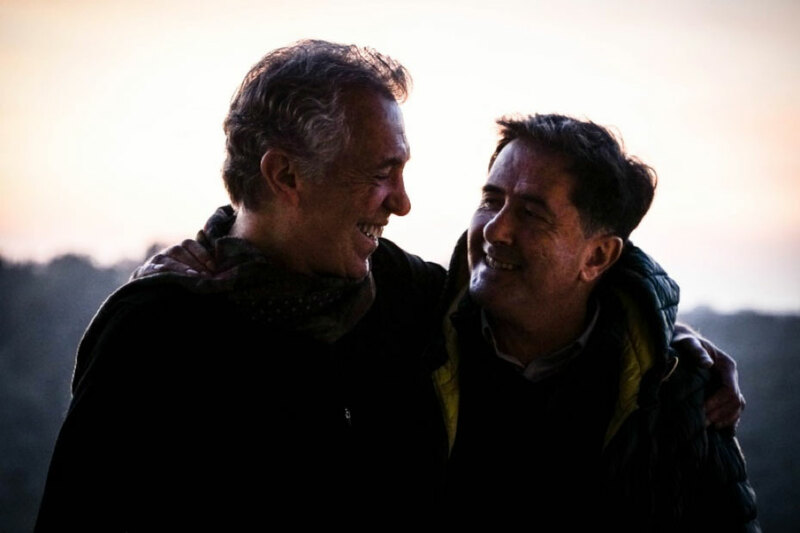 In 2009, the domaine expanded when Siegenthaler was joined by Jean-Marie Loriaud who brought two hectares of vineyards to the domaine. At present, the vineyards are split between the one hectare parcel planted in the hamlet of Vens-le-Haut, just outside of Seyssel at approximately 300 meters altitude and two hectares in the “cru” of Chautagne at 380 meters altitude. The vineyard at Vens-le-Haut is planted primarily to younger vines of Mondeuse on black-tinted sandstone soil (“mollasse”) along with the local white grapes, Molette and Altesse. The vineyard faces southwest. The vineyards in Chautagne face south-southwest, are on a very steep slope and are composed of a clay-limestone mix. 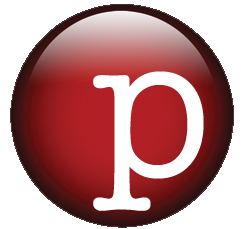 One finds here plantings of Gamay, Mondeuse, Pinot Noir, Jacquere, and Aligoté. Jacquere: The Jacquere vines are planted in Chautagne, a “cru” site in the Savoie; the specific lieu-dit is known as “les Carsines”. Jacquere is marked by a strong minerality with a vivacious acidity and an herbal bouquet. The key to producing a Jacquere of character is to strictly limit the rendement. At Vens-le-Haut, the Jacquere usually carries about 12% alcohol. The appellation for this wine is: Savoie “Cru Chautagne”. Aligoté: Though we tend to associate this crisp white wine with Burgundy, according to Monsieur Siegenthaler, it is also a Savoyard variety. Thought provoking comparisons could be done between this Aligoté and its Burgundian counterparts. The wine is raised in stainless steel tank without malolactic fermentation, no fining, and a light filtration before bottling. In contrast to the citrusy and electric characteristics of most Aligoté from Burgundy, this wine has more bass notes, hints of fennel pollen, and a medium weight frame. Molette: The Molette is another local grape found only in the Savoie. Here, the Molette produces a richer, fatter wine than the Jacquere with a slightly deeper tint to its color and hints of citrus and honey to its fruit and nose. The vines are in the hamlet of Anglefort just outside of Seyssel. This wine falls within the appellation of: Vin de Pays d’Allobrogie. Altesse: The Altesse is the most noble white grape variety in the Savoie. Planted in the vineyard known as “Corbonod” within the confines of the village of Seyssel, this wine carries the appellation: Seyssel. It is very fine, round in its attack, abundantly floral in the nose with a dry, persistent finish. Gamay: The Gamay at Vens-le-Haut is produced from vines planted in Chautagne in the lieu-dit known as “Les Greffieres”. At this altitude and in the soils of Chautagne, the Gamay produces a wine that is more mineral and rigid than the fruitier, more supple wines produced from Gamay in the Beaujolais region. Here, the wine is aged for two months in small, but older, barrels before being bottled in the late spring of the year following harvest. 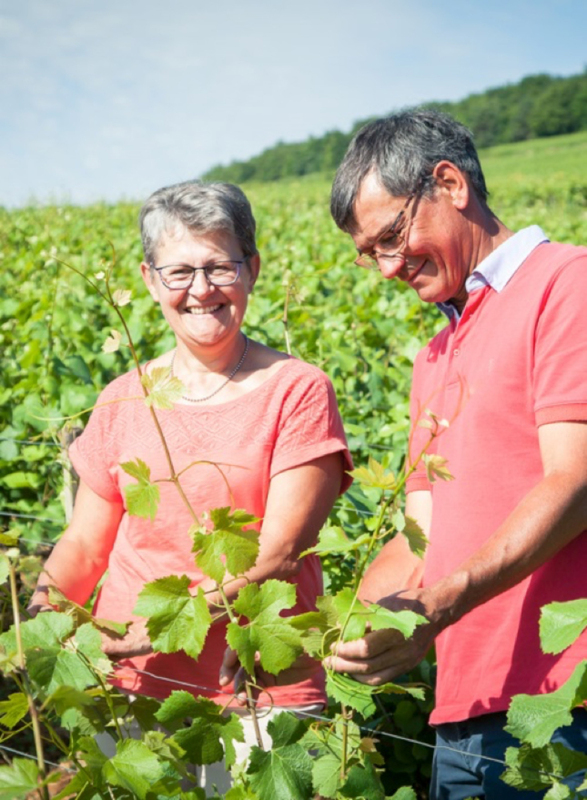 Mondeuse Noire: The black Mondeuse at Vens-le-Haut is harvested from two sites: “Les Greffieres” in Chautagne and “Vens” in the hamlet of Vens-le-Haut just outside of Seyssel. 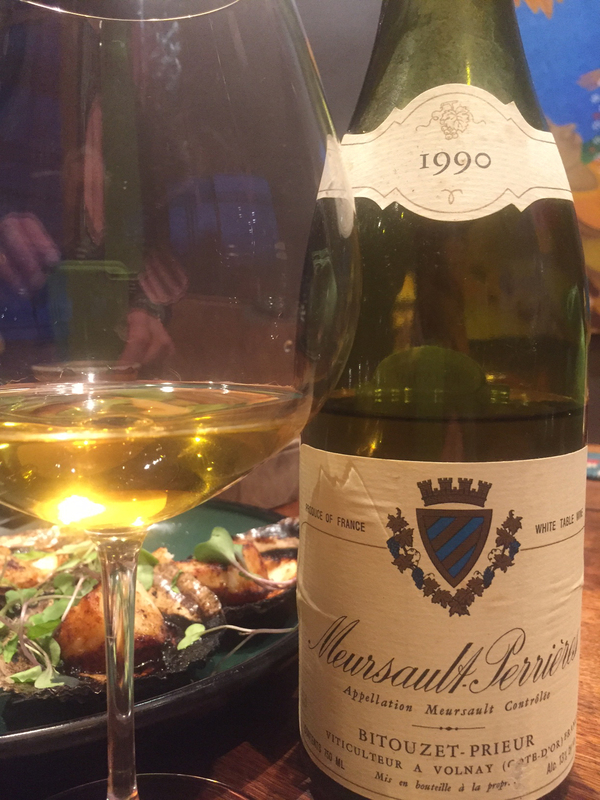 It yields a ripe, dense, rustic wine with plum-like notes. The elevage is eight to nine months long. Harvest frequently occurs in mid-to-late October.